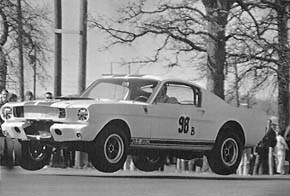 In preparation for the 50th Anniversary of the Ford Mustang in 2014; two historically significant GT350 Shelby Mustangs are currently being restored to how they looked in late 1964/early 1965. 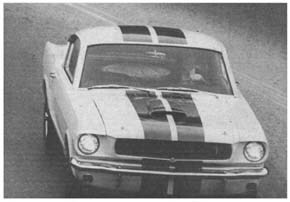 The two 1965 GT350s are 5R002, the first competition R model produced and 5S003, the first street GT350. 5R002 is presently being restored by John Brown at Thoroughbred Restorations in Oklahoma. 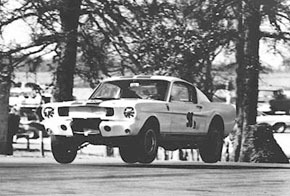 The website www.5R002.com may be visited to learn more about this exciting GT350 and follow its restoration. 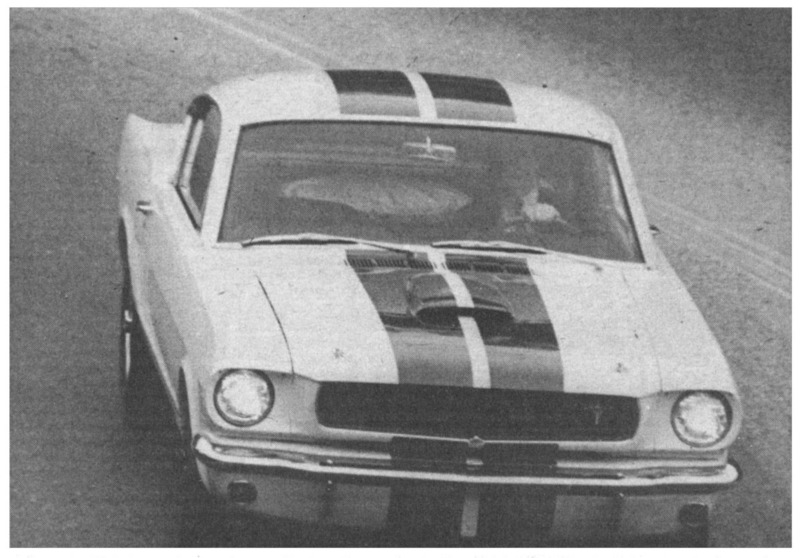 This R model is being restored to how it looked when it won its first race at Green Valley Raceway being driven by Ken Miles. 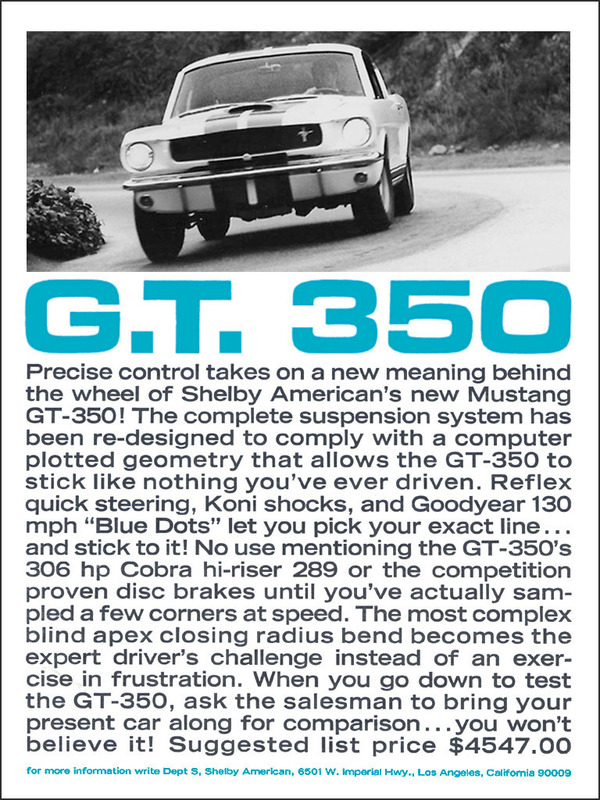 5S003 is simultaneously being restored in the Seattle area to the time when it was photographed by Peter Brock at Coldwater Canyon in Beverly Hills, CA for the initial factory ads promoting the newly released GT350 Mustangs. 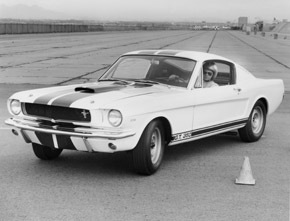 5S003 was under a state of evolution during its six months at Shelby American. When 5S003 was used for the first GT350 ads and promotional photos, it also possessed its most unique features. Special prototype Cragar wheels were mounted on the passenger side, while 15" x 15 ½" KH steel rims were used on the driver's side. This was done to give the perception that there were several GT350s already produced, when in reality, there was only one partially finished example. 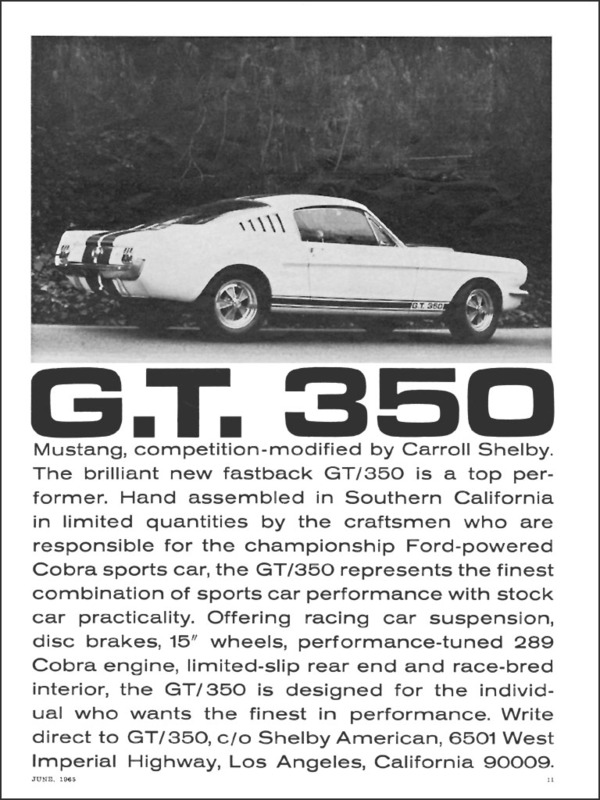 By simply having different wheels on each side, it gave the GT350 a different look. 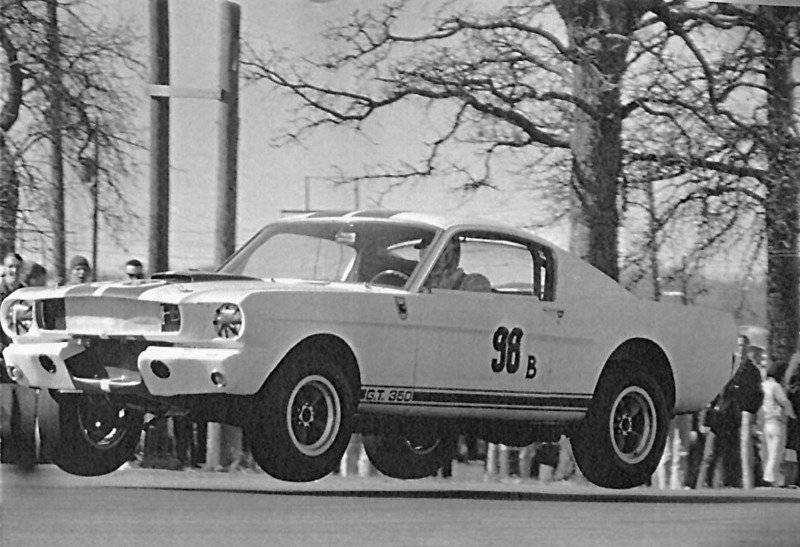 7.75 x 15 Goodyear Power Cushion tires were mounted to the 15" rims, these were the base tire from which the Goodyear Bluedots were later created for the production street 1965 GT350's. 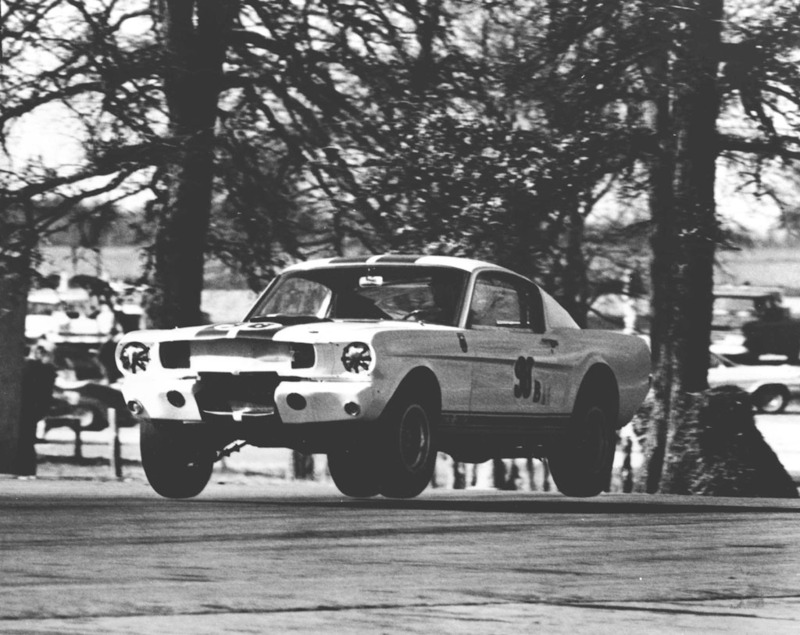 5S003 never wore Goodyear Bluedots while at Shelby American. When the photos were taken at Goldwater Canyon the dash pod containing the CS tachometer and oil pressure gauges had not been developed yet, but the car did have the rear package shelf and cover made for the spare tire.